What you can do on your turn is determined by the action card you choose. 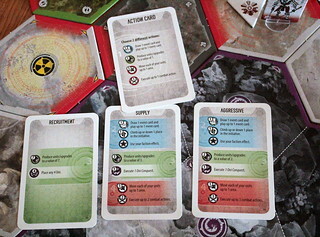 Each turn has four phases: white, blue, green and purple. The white phase is the same on all cards, the other three vary. Some action cards only have one of them, most have actions in all three phases.